We never want the noise of the ambulance haunt ourselves or our dear ones, right? But unfortunately we all have fallen sick at some point in our life.Sometimes the sickness became severe and led us to hospitals and there came the rush and the tension to find the right hospital and doctor. No I am not trying to make you melancholic by bringing back those memories which were equivalent to nightmares. I am just making you more knowledgeable about how the next time you will panic less while finding a hospital or a doctor in your area. Do you know how many doctors are there in your city? What do they specialize in? How far are they from your house? Well I can make out that ‘question mark’ face of yours. The busy world of ours has made us so ‘busy’ that we sometimes don’t even know what is our neighbor up to. Can one Map Patients, Provide their Locations & Find the Closest Doctors? How can one find the Right Doctors? Making decisions based on geography is very basic to human thinking. By understanding geography and people's relationship to “location”, we can make sound decisions about the way we live on this planet. A GIS is a technological tool for comprehending geography and making intelligent decisions. GIS organizes geographic data so that a person reading a map can select data necessary for a specific task. A GIS MAP IS INTERACTIVE and has a table of contents that allows the reader to add layers of information to a base map of real-world locations. A good GIS program is able to process the geographic data from a variety of sources and integrate it into a map project. Since the ancient times, the importance of location in outbreak and treatment of diseases has been paramount necessity. While in the times of Hippocrates, physicians found out that people living near water would be more prone to malaria than those in drier areas. In 1854, London suffered a severe cholera outbreak. No one knew how it spread from one person to the other. Some physicians believed that cholera spread through miasmas, bad air and bad smells but Dr John Snow thought otherwise. He plotted the distribution of deaths.On map of London the water well on Broad Street was apparently responsible for hundreds of cholera attacks in a ten-day period. Dr Snow asked the local authorities to immediately remove the water pump’s handle. As soon as this was done, the number of cholera deaths was dramatically reduced. Dr Snow’s work stands out as the first case where geography and maps were utilized to understand the spread of a disease. That’s how first ever disease map was drawn. How geo-spatial technology helps healthcare? The use of location in modern health care finds roots in public health information or PHI. 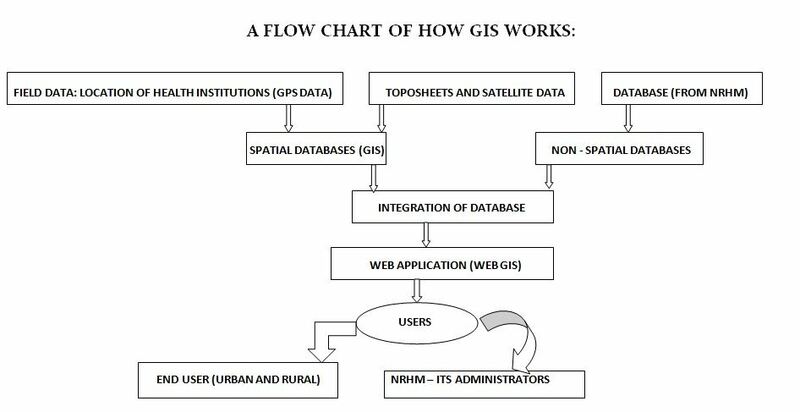 It means the application of information science and technology to public health practice and research and better public health information leads to improved health geomatics… thus making GIS relevant and useful in health care. Primarily, it is applied in the areas of epidemiology, public health and medical geography. 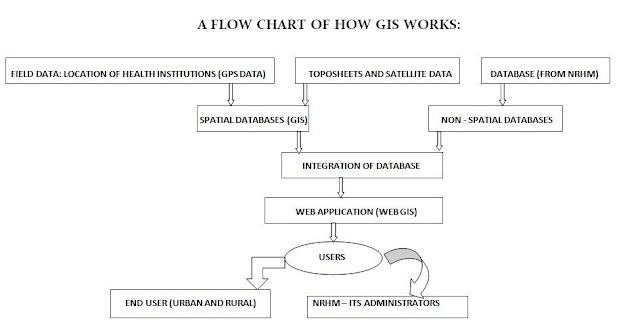 Spatial data is used to establish the correlation, between location and health, and layers of useful information are added to show a relationship with local factors using a GIS. Healthcare professionals across the globe are using geo-spatial technology as a weapon in their fight against dreaded diseases. What’s happening with swine flu? Where is it spreading? What is the severity? Is it in nursing homes or elsewhere? This really interferes with our ability to protect people isn’t it? Digital Mapping Laboratory under the Vector Control Research Centre in Pondicherry,India is using GPS to demarcate areas affected by dengue or malaria by interpretation of the multi-spectral and multi-temporal satellite sensors data for mapping the mosquito breeding habitats. This helps in understanding the severity of the disease spread and in evaluating the pressure on healthcare facilities and resources in the area. “The Global Polio Eradication Initiative”, a public-private partnership led by national governments and spearheaded by the WHO, Rotary International, US CDC and UNICEF, is aggressively using geo-spatial technology to gauge the effectiveness of the Short Interval Additional Dose approach in vaccination drives. The revenue of this sector exceeded $320 billion in the United States. They are discovering that GIS can help them address these issues. As the industry matures, a growing number of its clients are demanding more sophisticated health plans. Patients feel their providers should be close at hand. Physicians within preferred provider networks want more control over the number of patients they are asked to treat. Patient Access, an application developed by GeoHealth Incorporated, an Esri business partner, is used by managed care companies to make sure that patients are close to their physicians, and the ratio of patients to physicians is constant throughout a given health care network.The application displays the geographical relationships between a client's employees and the network of physicians that the provider has to offer.It is now being used by medical groups, hospitals, government entities, consultants, and businesses to map the locations of patients and physicians. GeoHealth used ArcView GIS to create PatientAccess. GIS is proving itself to be a useful tool in the evaluation of health care networks nationwide. With the integration of GIS in the health care industry and the development of applications one can optimise and refine their health plans. So we can hope that the ambulances serve us on time just like the pizza delivery system.